Breitling’s new in-house movement is the calibre B14, a hand-wind, mono-pusher chronograph found inside the Transocean Chronograph 1915 limited edition. 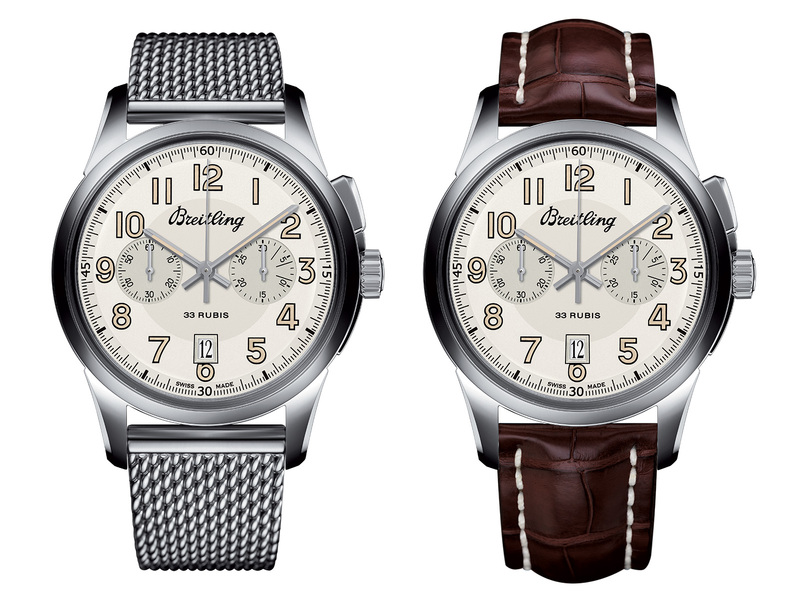 Breitling made major contributions to the development of the wrist chronograph, including inventing the modern two-button chronograph as we know it in 1934. 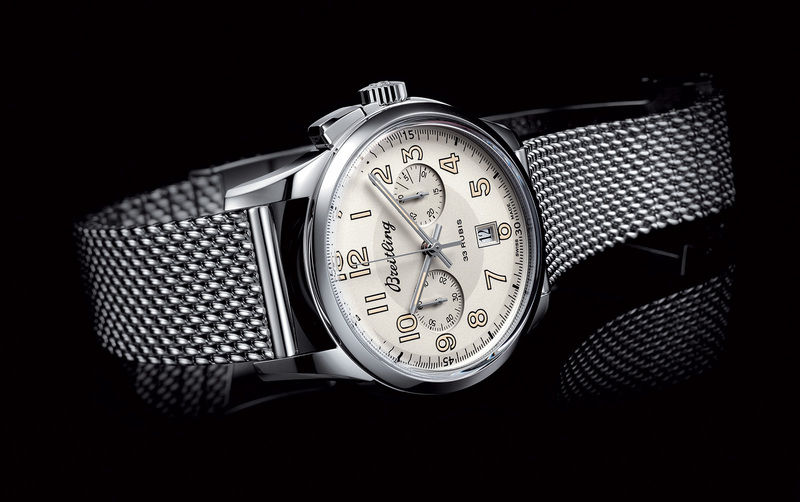 At Baselworld 2015 Breitling will unveil the Transocean Chronograph 1915, a single-button chronograph equipped with the B14 movement. 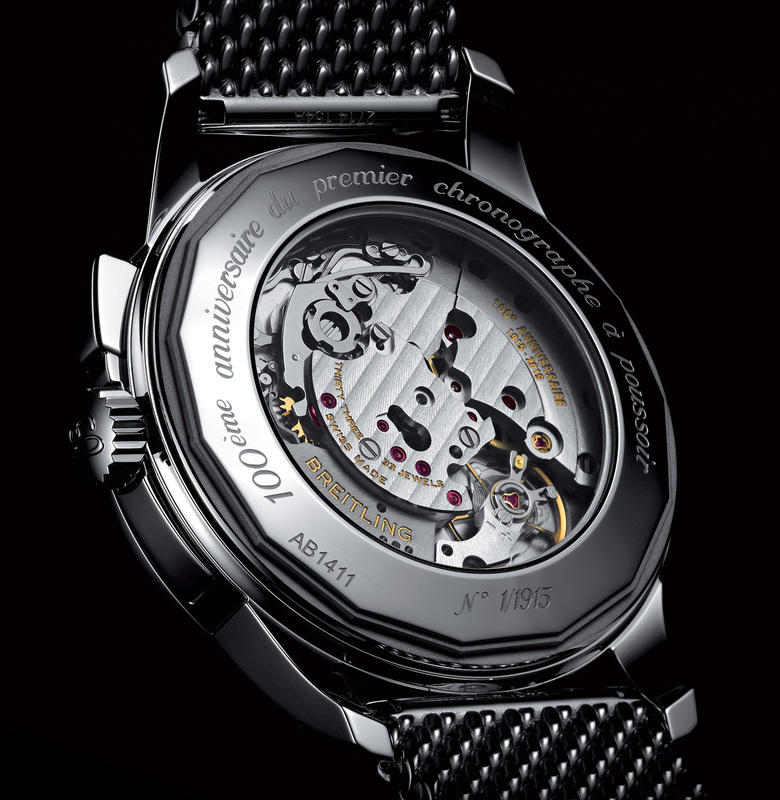 The B14 movement is the manual wind version of Breitling’s Calibre 01, the brand’s first in-house movement. It features a column wheel and vertical clutch, but most notably a single pusher for the start, stop and reset functions of the chronograph. The one button set up is a nod to Gaston Breitling’s (the eponymous founder’s son) invention of the single-pusher chronograph in 1915. 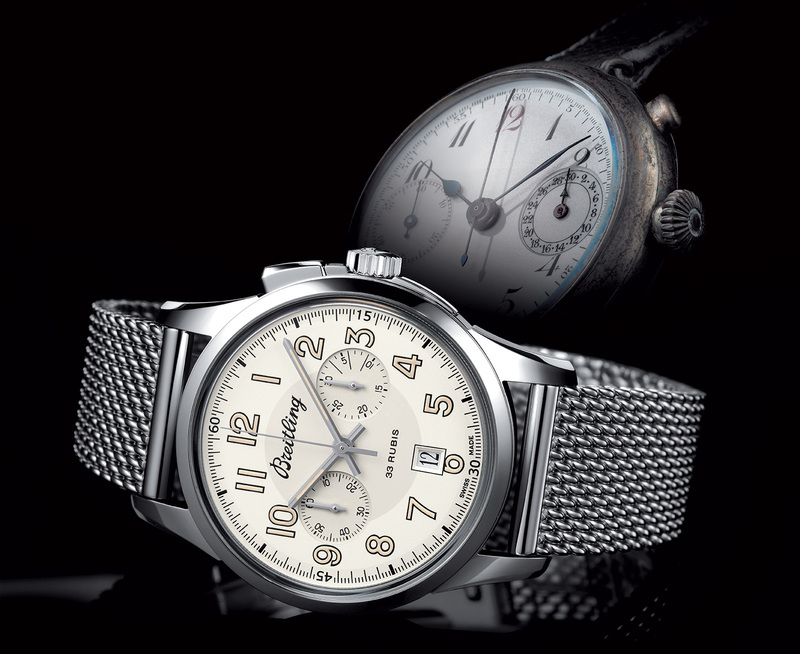 Thus the Transocean Chronograph 1915 marks the centenary of Breitling’s invention, and naturally is limited to 1915 pieces. The dial is an ivory shade with an appropriately vintage appearance, encompassing the faux aged Super-Luminova and the retro-style dial text. And the date window, despite the admirable vintage font used for the date, remains incongruous with the dial, as is almost always the case this vintage remakes. The watch has a 43 mm steel case and is available on a crocodile leather strap, priced at 13,010 Singapore dollars or 8400 Swiss francs. It’s also available on the Ocean Classic mesh bracelet for 13,170 Singapore dollars or 8630 Swiss francs.